Roots of Mali is a competitive strategic abstract game for 2 players with zero luck involved. Each player takes on the role of a forest tribe that contains six creatures of various power levels and unique abilities. 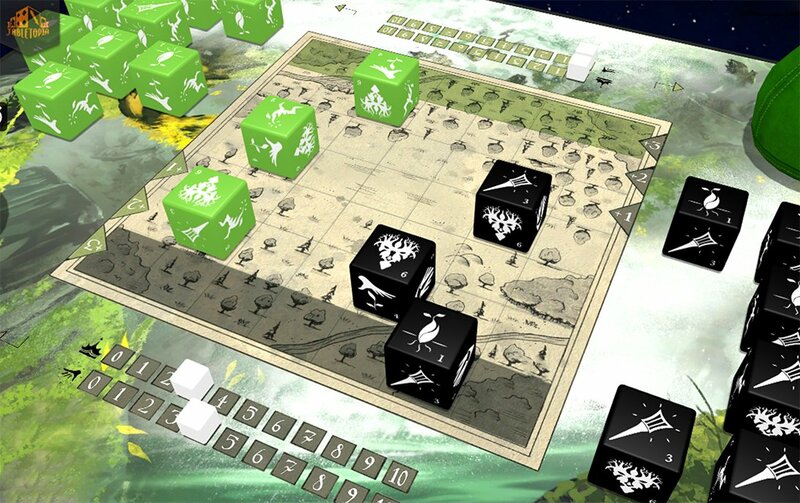 Through tactical use and clever movement of your army represented by dice you must outwit and defeat your opponent—a remarkable challenge for strategists! Roots of Mali is a standalone game and 100% compatible with its predecessor Light of Dragons, also available on Tabletopia. You can also back Roots of Mali on Kickstarter now!